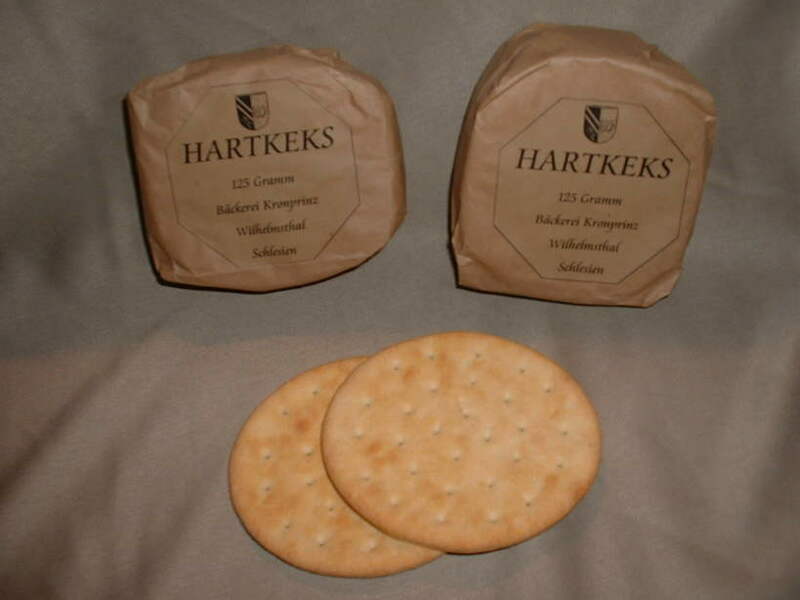 German Hartkeks-The Kaiser's Dull Biscuits! This is an example of WW1 Hartkeks as seen in pictures of German WW1 troops. This repro is copied from a package at the German Museum in Munich. These were manufacturered to government specifications by various bakeries throughout Germany. 5 biscuits at 25 grams each made up a pack, and from 2-4 packs were issued in all climates.. The outer wrapper was either plain paper with an inner liner, or waxed/impregnated with water repellant, which also aided in their being used as kindling or fuel for makeshift stoves.